Aquatop’s aquatic nets can be used for removing debris, uneaten fish food and skimming the surface of your aquarium. This durable fish net has a corrosion-resistant PVC coating for a long life, while a ridged handle and net frame offer added strength. 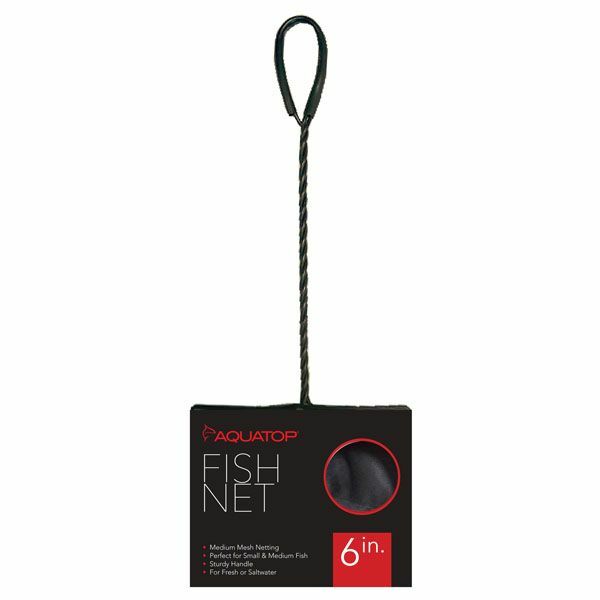 Aquatop’s aquatic fish net is suitable for fresh and saltwater aquarium use. Net Dimensions: 6" x 5"